Advertise Your Blog In My New Facebook Group! One way I like to advertise my blog and get it out there is to participate in Facebook blog groups. Every group is different, but you get the chance to leave links to your posts, blog and social media accounts: if you leave a link you have to join in and interact with others. 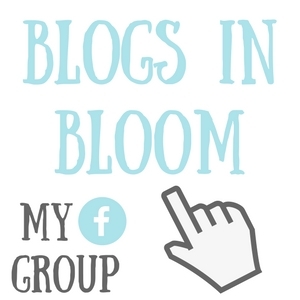 My blog group is called ‘Blogs In Bloom’: I decided to name it this because Facebook groups really are a great way to make your blog bloom! I know the name sounds quite girly but I hope that doesn’t deter anyone from joining in. I designed the cover to be the same as my blog banner to keep my blog branding the same- I hope you like it! I would really appreciate it (and love you forever) if you could share this post on social media or even re-blog to get some interest: it won’t work without members! What can I expect from the group? The purpose of this group is to be a place for people to promote their blogs without feeling guilty for leaving links. Everyone in the group is very friendly and supportive: we have a great little community forming! I have an ‘Introduce Yourself Thread’ running all the time so we can get to know each other a little bit and start interacting. If you participate in the threads stated below, you will see an increase in blog views, comments, followers and social media followers. What are you waiting for?! On Mondays, it will be all about social media link-ups: it will rotate between Twitter, Instagram, Pinterest, Facebook and YouTube. You will get the opportunity to leave your link and gain new followers and follow new people yourself. I don’t know about you, but I get excited when my new post goes live; I want as many people as possible to see it. On Wednesdays, you can leave a link to your latest blog post and receive some comments. It will also give you an opportunity to read some posts you wouldn’t have stumbled upon otherwise. 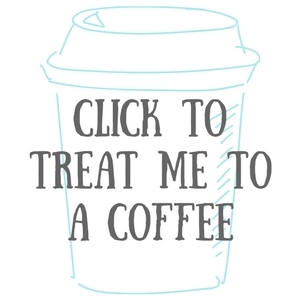 Free-for-all Friday will be great fun because you can leave a link to anything you like! You can ask for social media follows, picture likes on Instagram, comments on blog posts, blog follows, or for a specific post to be shared on social media- the choice is yours. Like we all know, social media is a big part of a blog’s success: on Sundays, we will be sharing a link to a blog post ready for it to be shared by others on their social media accounts. You can share posts using Twitter, Pinterest, Facebook etc. This sounds like so much fun and it ssuch a great idea for beginner bloggers such as myself. I just joined!!! request sent, you have an amazing blog! Not having some good experiences with Facebook Groups I am very curious what the results shall be joining your Facebook Group. I also am very curious if it shall bring an increase in blog views, comments, as well as on followers and social media followers, because looking at my own Facebook Pages those may bring likes on those pages but the noted or announced blog-articles do not get real viewings. That is such a cool idea 🙂 Just requested! Aww this is so cool! Thanks, Emma – I requested to join your group – This is awesome and I just ♥ it.